170203ERL 3/16 6 Polished Line Clamps. 170204ERL 1/4 6 Polished Line Clamps. 170205ERL 5/16 6 Polished Line Clamps. 170206ERL 3/8 4 Polished Line Clamps. 170207ERL 7/16 4 Polished Line Clamps. 170208ERL 1/2 3 Polished Line Clamps. 170209ERL 9/16 3 Polished Line Clamps. 170005ERL 5/16 6 LIMITED TO STOCK ON HAND. Red Line Clamps. 167204ERL 1/4 3 Polished Separators. Fits 1/4" hardline, or #3 Stainless PTFE Uncoated Hose. 167205ERL 5/16 3 Polished Separators. Fits 5/16" Hardline, or Coated #3 Stainless PTFE Hose, or #4 Stainless PTFE hose. 167206ERL 3/8 2 Polished Hose & Tubing Separators. 167208ERL 1/2 2 Polished Hose & Tubing Separators. 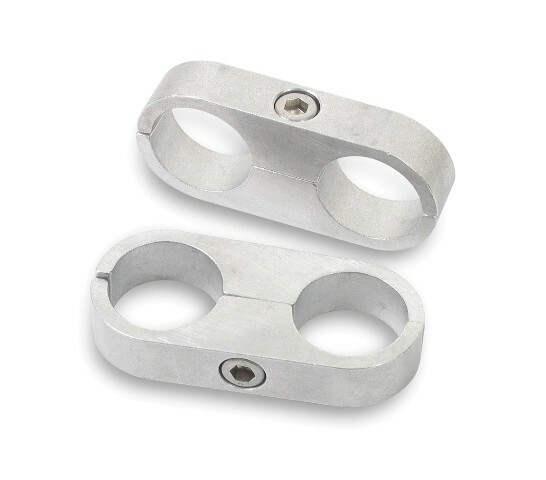 167210ERL 5/8 2 Polished Hose & Tubing Separators. 167211ERL 11/16 2 Polished Hose & Tubing Separators. 167212ERL 3/4 2 Polished Hose & Tubing Separators. 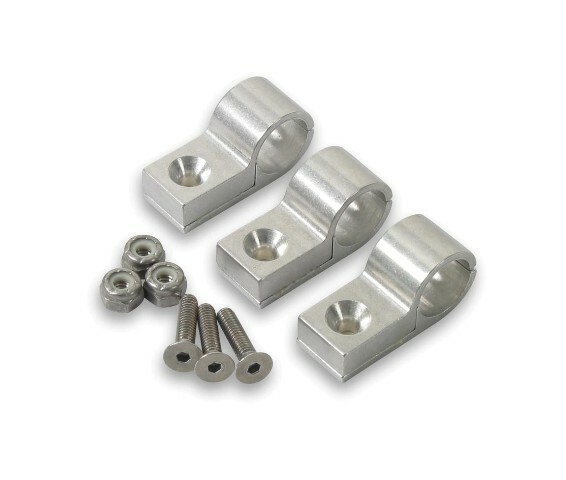 167214ERL 7/8 2 Polished Hose & Tubing Separators. 167216ERL 1.0" 2 Polished Hose & Tubing Separators. 167219ERL 17/32 2 Polished Hose & Tubing Separators. 167504ERL 1/4 3 Black Anodized Separators. Fits 1/4" Hardline, or #3 Stainless PTFE Uncoated Hose. 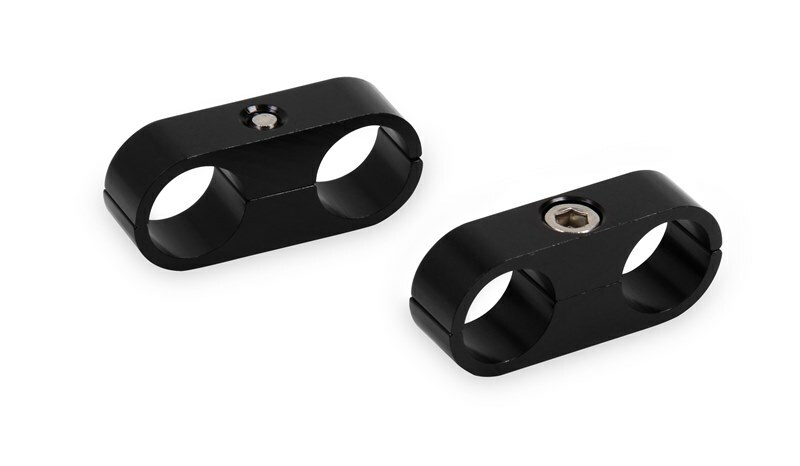 167505ERL 5/16 3 Black Anodized Separators. Fits 5/16" Hardline, or Coated #3 Stainless PTFE Hose, or #4 Stainless PTFE hose. 167506ERL 3/8 2 Black Anodized Hose & Tubing Separators. 167508ERL 1/2 2 Black Anodized Hose & Tubing Separators. 167510ERL 5/8 2 Black Anodized Hose & Tubing Separators. 167511ERL 11/16 2 Black Anodized Hose & Tubing Separators. 167512ERL 3/4 2 Black Anodized Hose & Tubing Separators. 167514ERL 7/8 2 Black Anodized Hose & Tubing Separators. 167516ERL 1.0" 2 Black Anodized Hose & Tubing Separators. 167519ERL 17/32 2 Black Anodized Hose & Tubing Separators. 167004ERL 1/4 3 Red Anodized Separators. Fits 1/4" Hardline, or #3 Stainless PTFE Uncoated Hose. 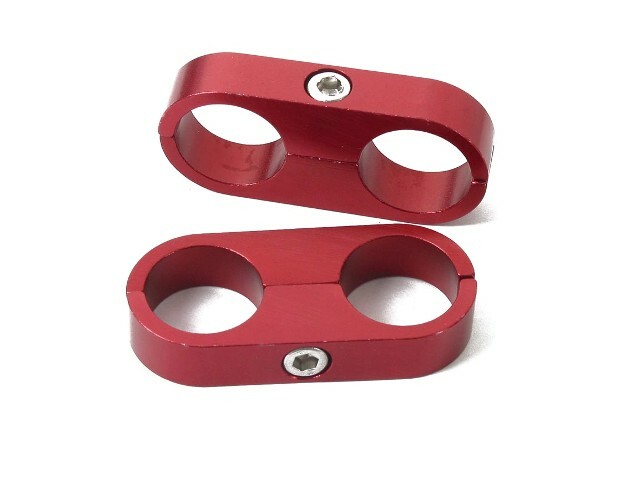 167005ERL 5/16 3 Red Anodized Separators. Fits 5/16" Hardline, or Coated #3 Stainless PTFE Hose, or #4 Stainless PTFE hose. 167006ERL 3/8 2 Red Anodized Hose & Tubing Separators. 167008ERL 1/2 2 Red Anodized Hose & Tubing Separators. 167010ERL 5/8 2 Red Anodized Hose & Tubing Separators. 167011ERL 11/16 2 Red Anodized Hose & Tubing Separators. 167012ERL 3/4 2 Red Anodized Hose & Tubing Separators. 167014ERL 7/8 2 Red Anodized Hose & Tubing Separators. 167016ERL 1.0" 2 Red Anodized Hose & Tubing Separators. 167017 1-1/16 2 Red Anodized Hose & Tubing Separators. 167019ERL 17/32 2 Red Anodized Hose & Tubing Separators. 167020ERL 19/32 2 Red Anodized Hose & Tubing Separators.